Most Medicaid recipients work, could lose health care under Walker proposal. Too many Wisconsin workers struggle economically, burdened by low wages along with fluctuating and unpredictable schedules. They may learn their hours with short notice, and slow customer traffic or adverse weather can cause them to be called in or sent home without warning. A new proposal from Governor Walker (and recently approved by the Legislature’s Joint Finance Committee) would burden these workers further by also putting their health coverage at risk. Wisconsin lawmakers have proposed BadgerCare changes that would require the documentation of specific work hours and impose time limits on childless adults receiving health insurance when they are not working at least half-time. The state has just requested the waiver from federal rules that this policy requires. Walker’s approach echoes similar requirements or proposals for programs providing food and child care assistance. But requiring the demonstration of work hours is fundamentally misaligned with the realities of the low-wage labor market. Thousands of workers will face burdensome paperwork requirements, and some will lose essential health coverage due to their employers’ scheduling policies. These BadgerCare changes punish rather than support low-income workers. Scheduling in low-wage jobs, and the fluctuating and unpredictable hours endemic to them, is receiving increasing attention (recently highlighted, for example, by The New York Times). Workers must be available for shifts they might not work, or get sent home early without receiving wages for the full scheduled shift. For these workers, it is the employer’s problematic scheduling practices, rather than any lack of commitment to work, that generates unpredictable hours. And having a first job with unpredictable hours makes finding a second job to supplement wages nearly impossible. With Walker’s proposed BadgerCare policies workers will be harmed twice, first when they earn less than they need due to short hours, and again when the lack of hours of work – or their failure to turn in required paperwork to document constantly changing hours – disqualifies them from health care. In Wisconsin, 55 percent of families below the poverty line and 76 percent below twice the poverty line are working, demonstrating a strong commitment to work. But even working families do not make enough to cover basic expenses, such as child care and transportation, which are much higher than the federal poverty line. A recent Kaiser Family Foundation study found that 6 in 10 Medicaid recipients are working, and the majority of non-working recipients were disabled, students, caring for others, or seeking work. For low-wage workers, BadgerCare is essential since employer-sponsored insurance is often not offered or is prohibitively expensive. COWS’ 2016 State of Working Wisconsin report documented that among workers earning under $11.56 per hour (significantly above the minimum wage), just over half had employer health insurance coverage; 17 percent of these went without coverage, while nearly 20 percent used public insurance like BadgerCare. Time limits to this public coverage will not make low-wage employers more likely to offer health insurance. Rather, the policy will simply cut workers stuck in low-wage jobs off from the health insurance needed to stay healthy so they can find and keep work. State policy should support working families. 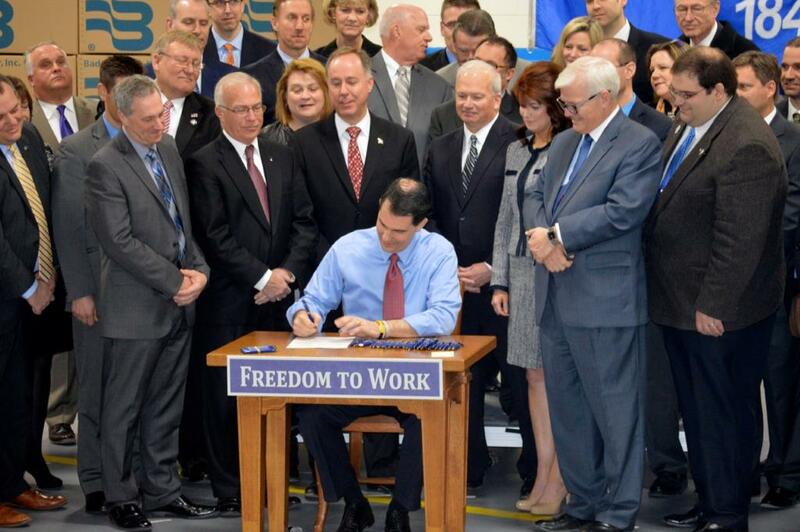 Wisconsin innovated in the 1990s to ensure job pipelines and public supports would incentivize work. This legacy is being undermined by punitive provisions in health care, nutrition and other key programs. Laura Dresser, COWS UW Madison and Elizabeth Lower-Basch, Center on Law and Social Policy. This column was originally published by the Journal Sentinel.